Greek yogurt has double the amount of protein than regular yogurt, half the sodium, and fewer carbohydrates. The only drawback: it’s almost double the price. Consider it a flat-belly tax and splurge! Add some fresh berries, which are packed with anti-oxidants and a sprinkle of granola for some crunch, and you’ve got a stick-to-your-ribs kind of breakfast. 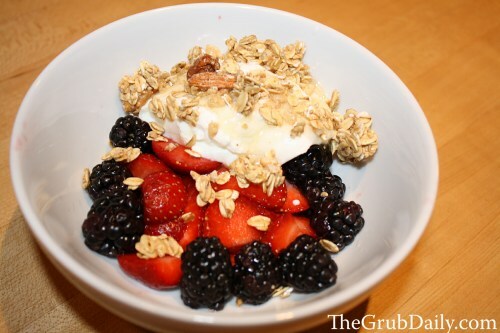 *Note: Just take it easy on the granola, which is often very high-cal….remember Tip No. 1: everything in moderation! 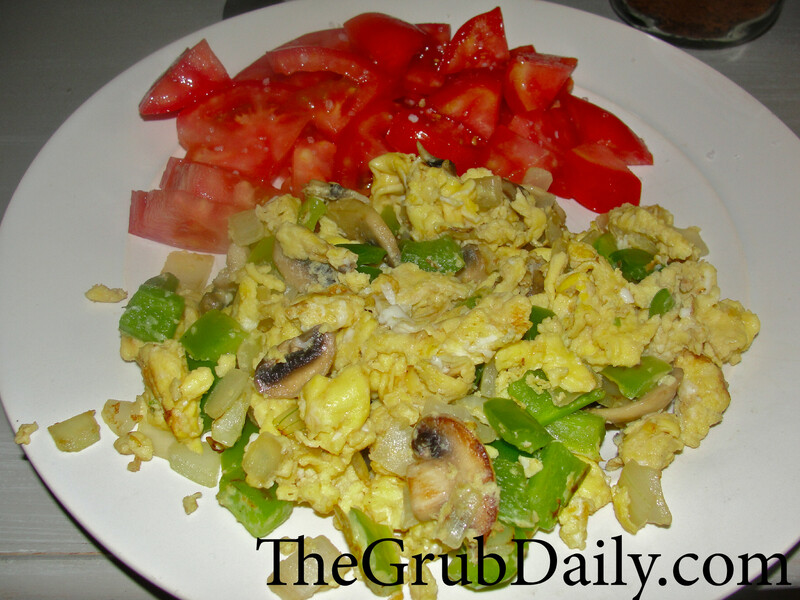 2-3 eggs scrambled with mushrooms, peppers, and onions served with a side of sliced tomatoes. Eggs are packed with protein and contain amino acids that are easy for your body to absorb. *Add a little hot sauce, and the capsaicin in the spice with keep you feeling full longer and suppress your afternoon appetite. These bad boys are loaded with fiber which helps to lower blood cholesterol, control blood sugar levels, and regulate your digestive system. Just one of these in the morning will keep you feeling full until lunch time with only 120 calories! Click here for the recipe! 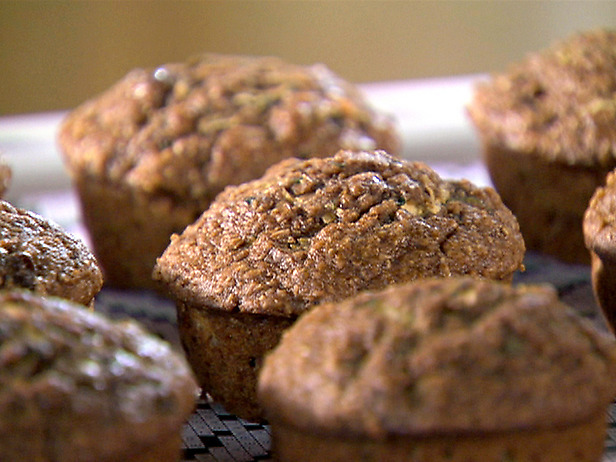 *If you are used to putting butter or jam on your muffins, try a dollop of Greek yogurt instead. It is lower in calories and offers the health benefit of probiotics. Milk can cause gas and bloating, so I try to use soy or almond alternatives. 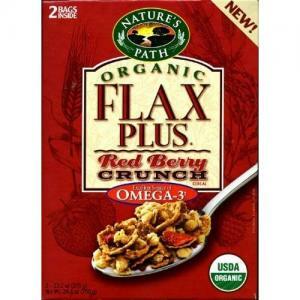 As far as choosing a cereal, I recommend the Nature’s Path Organic Flax Plus Cereals. The Red Berry Crunch and the Raisin Bran are very good—high in fiber and protein, high in Omega-3, and low in fat. *Note: Just make sure you check the labels on your cereal and granola, because they can be very fattening. And don’t over do it on the cereal!! I have watched some of my girlfriends pour their bowl and it looks like they could feed a small army when they are done (Sam and Ariana, I’m calling you out!). If you can fit you entire head in the bowl….its TOO big!! I measure out a ½ – ¾ cup serving when I pour my cereal to have portion control.